+ Love Is Patient And Kind. 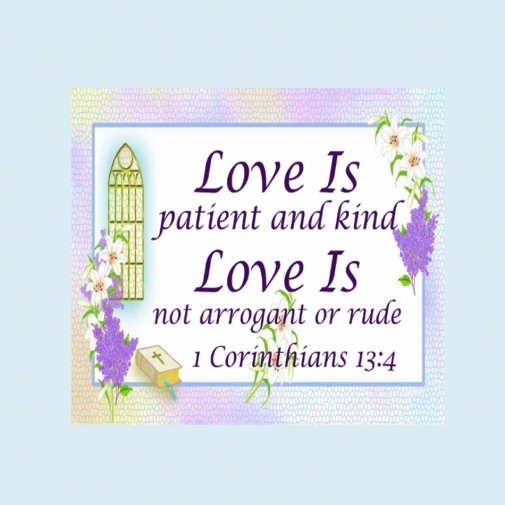 Love is not arrogant or rude. 1 Corinthians 13:4. + © 2014 Love Is Original Design, Rita Sullivan. For personal, non commercial use only. Not to be resold in any medium; intended purpose: personal, non commercial use only. + NOTE: Not for commercial use. The CreativeXpression1 watermark will not appear on the high resolution jpeg file that is sent to the email on the iCraft invoice.